We believe that both Hungary and our town need more gardens, parks and spaces for leisure activities, for the enjoyment of both our foreign guests and our fellow citizens. 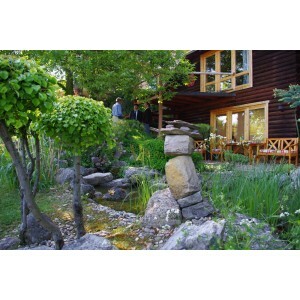 Our aim is to create a public landscape garden or a public landscape park, which would be home to a Japanese garden. This an entirely unique initiative in our country, which encourage, among others, the cultivation of international relations, while calling attention to the power of unity and enhancing positive thinking and open-mindedness among the population. The facility host numerous programs; it provides a quality leisure grounds for a public of all ages, while at the same time ensuring access for both educational and entertainment activities. Our main pursuit is the establishment of a Japanese-type garden school or a Japanese-type gardening workshop, its upkeep, with periodical invitations extended to gardeners from Japan. As far as my own person is concerned (http://www.japankert.com/category.php?id_category=30), I have, during the past year, attended and successfully completed a landscape gardening internship with Kyoto Kouki-ryu Niwatsune, a recognized landscaping firm with a tradition in Japanese gardening spanning four generations, located in Kyoto, also known as the City of Gardens. 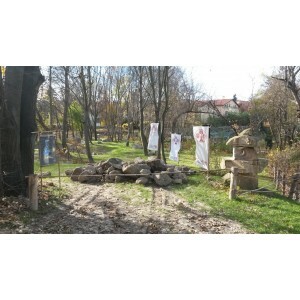 Our Japanese partner company has, upon my completion of the internship, expressed her interest to further, and to participate in, the development of our planned Japanese garden, as well as to support our aim to establish a garden-school and workshop. 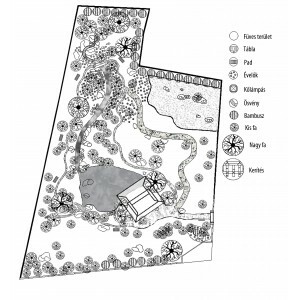 The proposed Gardens of Unity would be the meeting place for organizations like the Hungarian-Japanese Friendship Society , the Urasenke Tea Association, the Japanese Garden Association, the Ikebana Association, the Bonsai Association and other associations, garden-schools and university departments of horticulture. 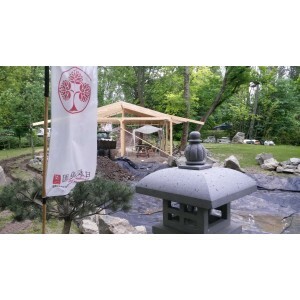 The main purpose in the establishment of a Japanese-type garden-school and workshop is the spreading of the culture of landscape gardening in both our own town and in our country. Szentendre, already known as the country’s “Town of Painters”, would, over time, be also known as a “Town of Gardens”. In fact, landscape gardening is, according to our credo, three-dimensional painting. This public garden would, as an absolute novelty for Hungary, function also as a Night Garden, thus conjuring up a unique treasure to the surprise of the visitor, extending the enjoyment of the garden well beyond the hours of nightfall. The activities of the Gardens of Unity would extend beyond the events organized by the variety of organizations named above, however. The Gardens serve as a starting point or venue for artistic, cultural and entertainment programs as well. Thus, a center for the fine arts and culture would become yet another function of the Gardens, which provides an excellent space for the education of the young and for the awakening of their interest in the arts. The Gardens present the true, creative power of art in unity, and they would call the attention to the linkages between the different streams of art. The Gardens would serve as an ideal venue for educational lectures, fine art courses, and exhibitions. To sum up: Let us spend more time outdoors, together! Let us celebrate the beauty of nature, art and life, to the enjoyment of people, the town and the country! Please, support the Japanese Garden Hungary Association (2000 Szentendre Rét u. 2.) 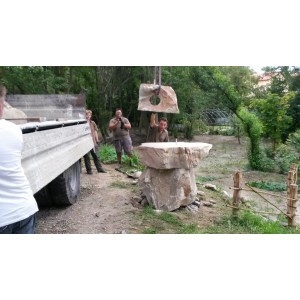 in the effort to build the Japanese garden in Szentendre, Hungary. 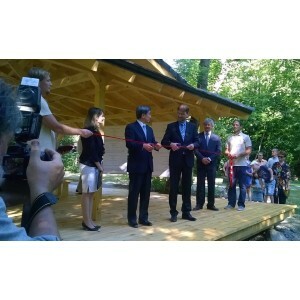 Inauguration of the Yama Torou on 2014 10 03 by the Hungarian Embassy of Japan. Openning in 2016 June 20 at 17.00 h.